A UNITED NATIONS committee has published its concluding observations on how Ireland is eliminating all forms of discrimination against women, and found that there are “several crucial gaps” in the country’s obligations on women’s rights and equality. The UN committee said that the scope of reference for the investigation into abuse at mother and baby homes is “narrow” and that it may not address the whole spectrum of abuses perpetrated against women and girls. Ireland has failed to establish an independent, thorough and effective investigation, in line with international standards. It added that “no effort has been made to establish an independent investigation to identify, prosecute and punish the perpetrators who performed the medical procedure of symphysiotomy without the consent of women”. Ireland is urged to ensure that all victims/survivors of such abuse obtain an effective remedy, including appropriate compensation, official apologies, restitution, satisfaction and rehabilitative services. In its report, it also says that the Eighth Amendment of the Constitution “unduly restricts access to abortion” and says its previous recommendations on the issue had not been implemented. The report recommends amending the measure. It calls for the country to introduce a specific definition of domestic violence and other emerging forms of gender-based violence such as online stalking and harassment. The UN’s CEDAW committee (Convention on the elimination of all forms of discrimination against women) also recommends extending gender quotas to local government elections, as well as general elections. Reacting to the report, Amnesty International said it “was no surprise” that the report found that Ireland’s abortion laws “do not respect women’s rights and that the Constitution is no excuse”. 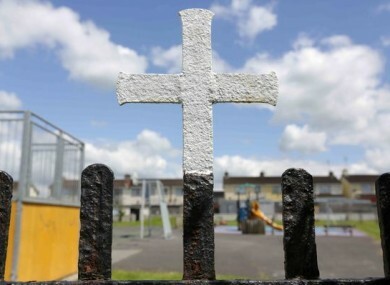 Its research and legal manager, Fiona Crowley, added that, given the events of the last week in Tuam, “the committee’s criticism of the terms of reference for the Commission of Investigation into alleged abuses in mother and baby homes must also be heeded”. The Pro Life Campaign, meanwhile, said that the UN’s recommendation on the Eighth Amendment was “bordering on ridiculous”. Email “UN committee warns scope of mother and baby homes inquiry is too narrow”. Feedback on “UN committee warns scope of mother and baby homes inquiry is too narrow”.